A 77-year-old Canadian man has been arrested and charged for allegedly trying to smuggle over 100 lbs. of marijuana over the Canada-US border. According to the US Department of Justice, Nerio Frank Fogazzi was arrested and charged with possessing with intent to distribute, distributing marijuana and importing marijuana from Canada into the United States. The charges carry a maximum penalty of five years in prison and a $250,000 fine. On May 21, 2018, Fogazzi attempted to enter the US from Canada at the Peace Bridge port of entry, which connects Fort Erie, Ontario and Buffalo, New York. Fogazzi told a border officer that he was entering the US to go shopping but could not provide a specific shopping location. The officer asked Fogazzi if he could unlock his trunk for inspection, and when the trunk was opened the officer saw one empty black hockey bag on top of two other black hockey bags that looked full. 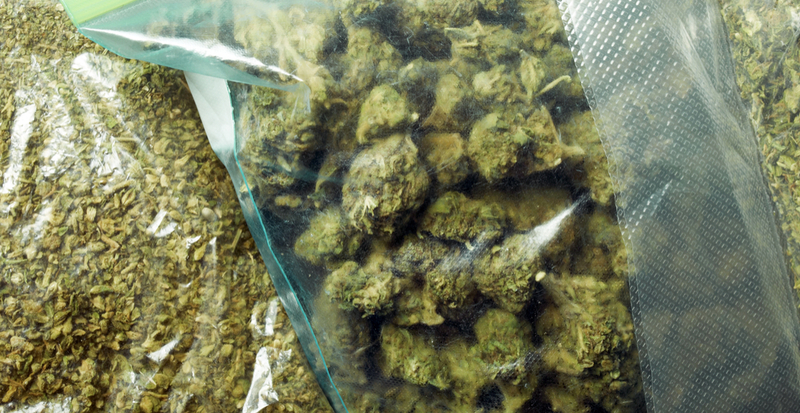 When the officer examined one of the full bags, he discovered marijuana inside clear vacuum sealed plastic bags. A total of 96 packages of suspected marijuana, weighing a total of over 104 lbs., were seized.